Gift baskets are not just about food and wine. Okay, I love food and wine as much as the next gal, but when it comes to gift-giving, I prefer something more personal and lasting. That's why I put together a unique collection of gift basket ideas for women. Especially for Her - This one is my absolute favorite. 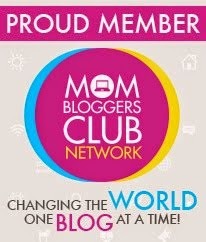 It's fun, colorful, and girly (just like me!). Instead of a traditional basket, I found this great woven tote bag that really is a tote bag! I stuffed it with a few of things to satisfy her most basic girly needs - French body lotion, handmade jewelry, an elegant sticky note pad, a reusable shopping bag, and a handmade soy candle. And it's wrapped with lots of colorful frilly ribbon and tissue! Indulge and Inspire - This is another favorite for its relaxation theme. It's not just a spa gift. It's personal and luxurious all mixed together! 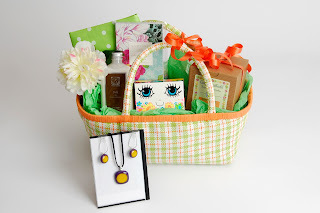 Inside this slightly more traditional (but very well-made) basket is a collection of handmade organic bath products, a relaxing spa style CD, a journal, an inspiring quote in all wood frame, and a handmade soy candle. 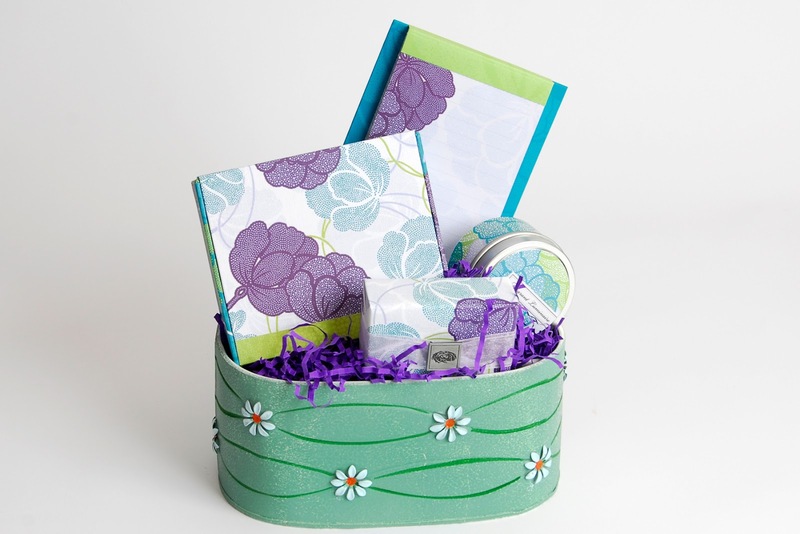 To add to the soothing nature of this gift, it's wrapped in serene ivy and green ribbon and decorated with little crafty birds. Color Her Happy - This one is named for its color and sentiment! You'll want to give this gift to your favorite woman who is colorful, spirited, inspirational, and spiritual. 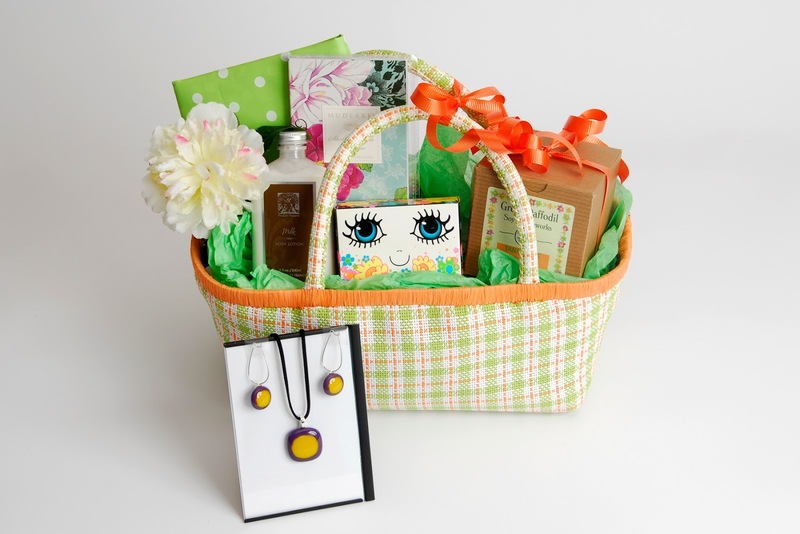 Packed inside a colorful planter/container are a few inspiring gift items from Hope Springs, whose whimsical and modern take on spirituality is included on each gift. The ceramic beaded jewelry is from Jennifer Jangles, who always designs in color and spirit! Simple Pleasures - For the woman who loves elegance in the everyday, Simple Pleasures is a unique gift for home or office. I love Mudlark for their beautiful and elegant designs, so I've chosen their Aubrey collection of soap, candle, note cards, and notepad for this gift. Packaged in a painted container with raised metal daisies, it also comes wrapped with an elegant bow and silk daisies to match! Garden of Joy - If you have a nature lover or avid gardener on your gift list, you must check this out! It's a unique collection of nature inspired practical and fun gifts. 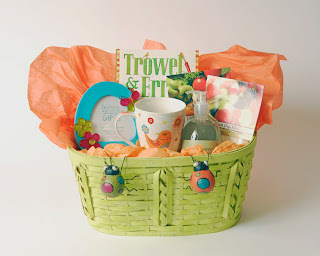 The basket is a planter and includes a doodle bird ceramic mug, a colorful floral picture frame, a couple of crazy painted wooden bugs to hang on planters, Trowel and Error, a must-have book for the gardener, and to satisfy that need for food in your gift basket, a couple of fruit and veggie dip mixes from the ever popular Country Home Creations! Enjoy!